The movie “Interstellar”, coming to theaters this November, is about astronauts who take to the cosmos to find a new place to live because – guess why — the earth is dying from a scourge that wipes out crops and turns the planet into “one great dust bowl” (Time magazine, November 10, 2014, page 46). Time to get to work, erosion control professionals! We CAN save the planet, which is much easier than trying to find a new one to live on. To prevent dust bowls, preserve the topsoil in the short term with BIND | ATLAS SUPERDUTY. 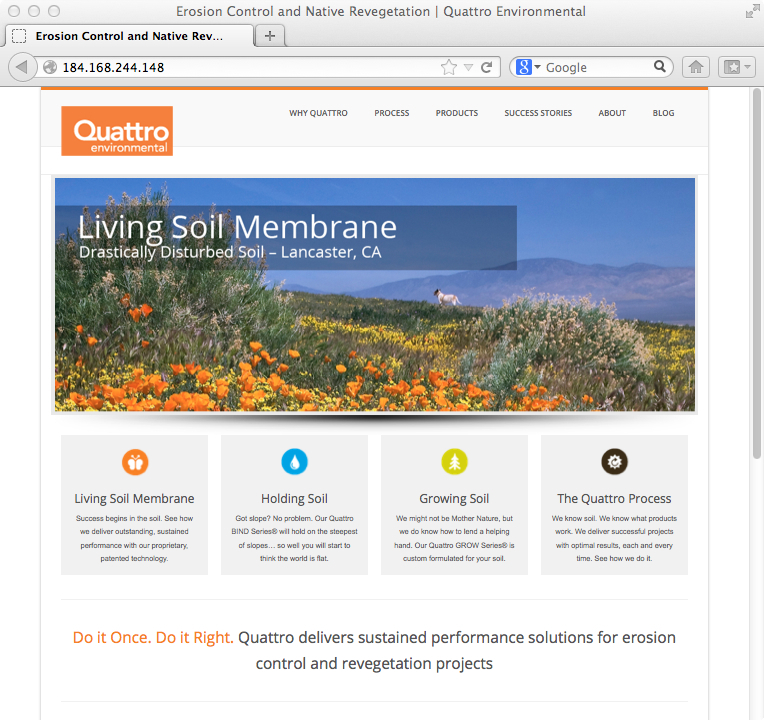 For long term results, stabilize top soil with Quattro’s Living Soil Membrane, which re-establishes a functioning soil community for sustainable native plant growth. Of course, then we wouldn’t have a blockbuster movie premise…….